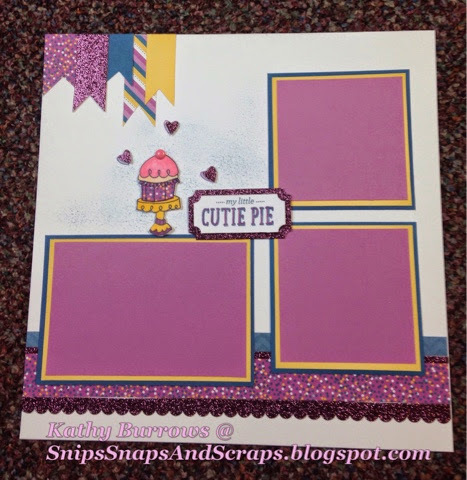 We are featuring December's SOTM, Cutie Pie, a set of 11 stamps, just perfect for creating cards or borders and accents on scrap pages. If you have come here from Lucy's blog, you are on the right path. The blog hop is a great big circle, so you can start here and hop all the way around. This is simple to do -- just click on the link at the end of the post on each blog to move on to the next one. 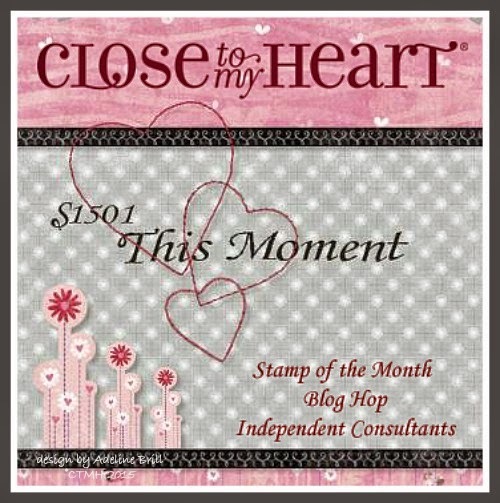 This month we have over 60 Close To My Heart consultants sharing their creations using this month's SOTM and many other great CTMH products in their projects. 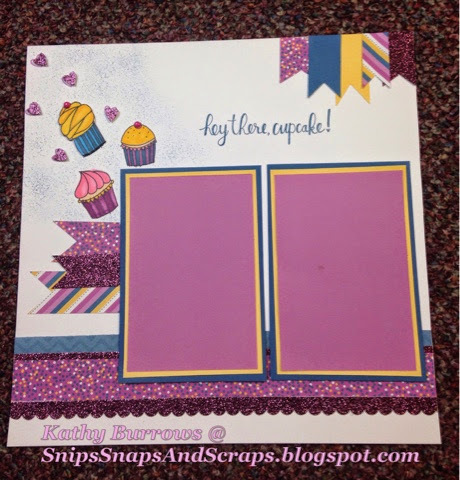 So grab your beverage of choice and get your pinning finger ready to save lots of great ideas for using this great stamp set. 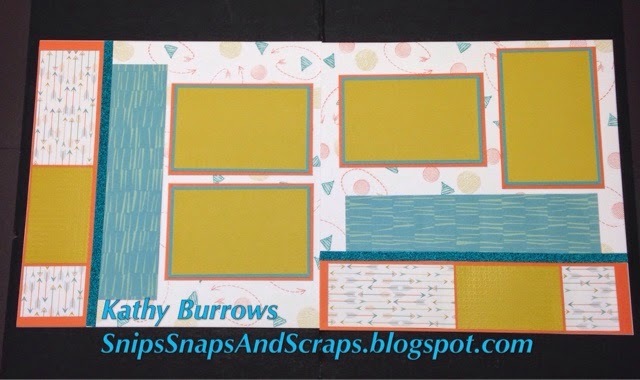 This month I had fun creating a scrapbook layout with this stamp set. 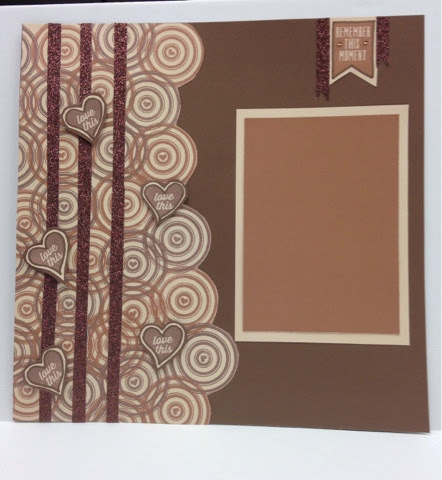 The inspiration for the first page came from a scrapbook page Doreen Camilleri shared on the CTMH Artwork Facebook page. Thanks for the inspiration, Doreen. Here's a closer look at each page of the layout. 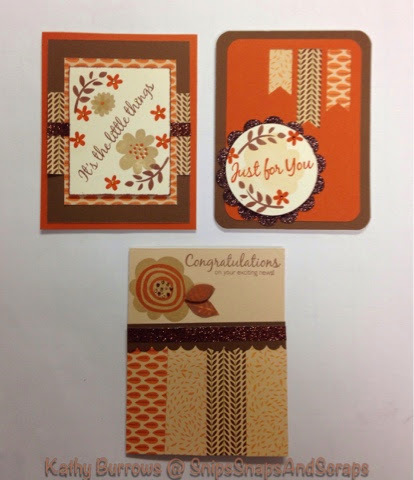 Here are some closer shots of the stamping and coloring using our new ShinHan TouchTwin markers. 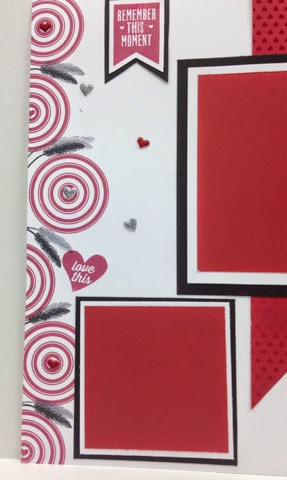 The little hearts were stamped on the cardstock first. Then I stamped another heart on the glitter paper and cut it out and popped it just a little off center of the heart with 3-D foam tape. I used a retired CTMH texture tool to create the light sponged effect. 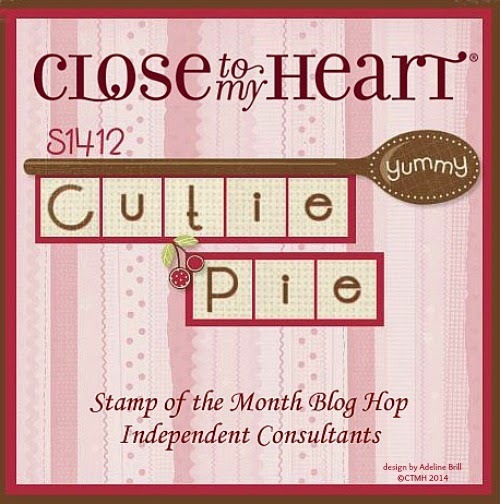 You can find this stamp of the month as well as any of the other supplies listed above on my website and shop 24/7. Remember this adorable set it only available until December 31rst, so get yours now. Please leave a comment below to let me know you were here. I love visitors! 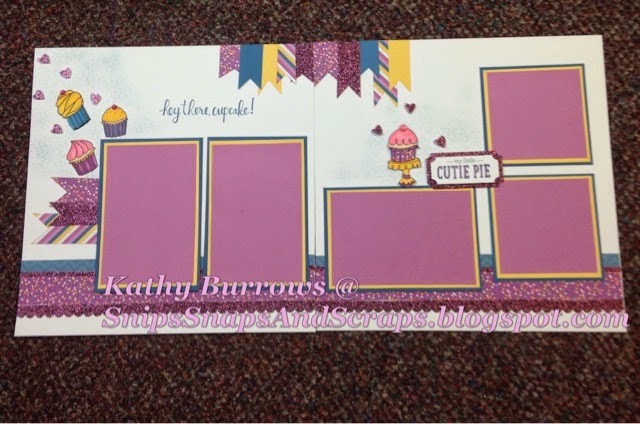 Now "hop" on over to Kelly's blog to see her wonderful work! Be sure to visit all the consultants at their blogs to get some great crafting ideas and other fun ideas! If you get lost along the way, here is the master list so you can "hop" back in. Gobble, gobble, gobble, it’s time to do a trot and to say a big thanks for all the great friends and customers I've got! 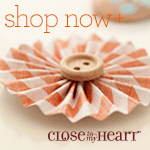 Here's a SPECIAL I'd like to offer you as a thank you for supporting my Close To My Heart business. Place an order on my website between Friday, November 28 and Monday, December 1 and receive FREE thank you gifts from me! Not comfortable ordering online, just contact me and I'll place your order. Once you have submitted your order, I will email you to find out your choice(s) of free gifts and will have them shipped to you. 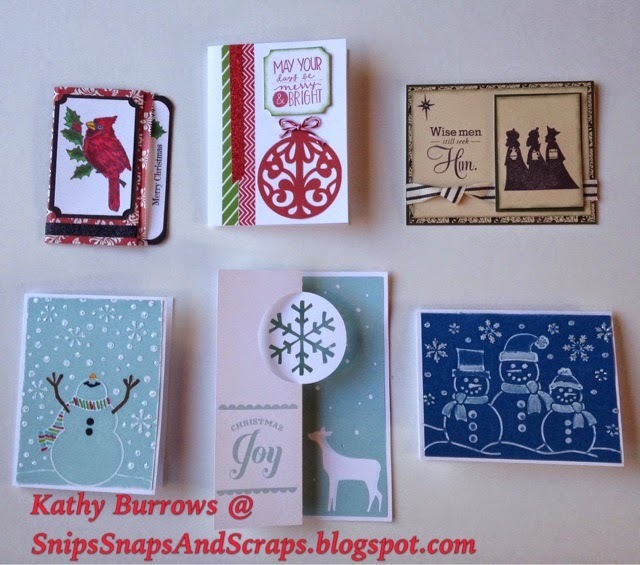 Order $25 or more (before shipping and tax) on my website on Friday, Saturday, Sunday or Monday (November 28 - Dec 1) and I will send you your choice of stamp pad for FREE! Order $50 or more (before shipping and tax) on my website on Friday, Saturday, Sunday or Monday (November 28 - Dec 1) and I will send you a ShinHan Touch Twin Marker of your choice AND the stamp pad for FREE! 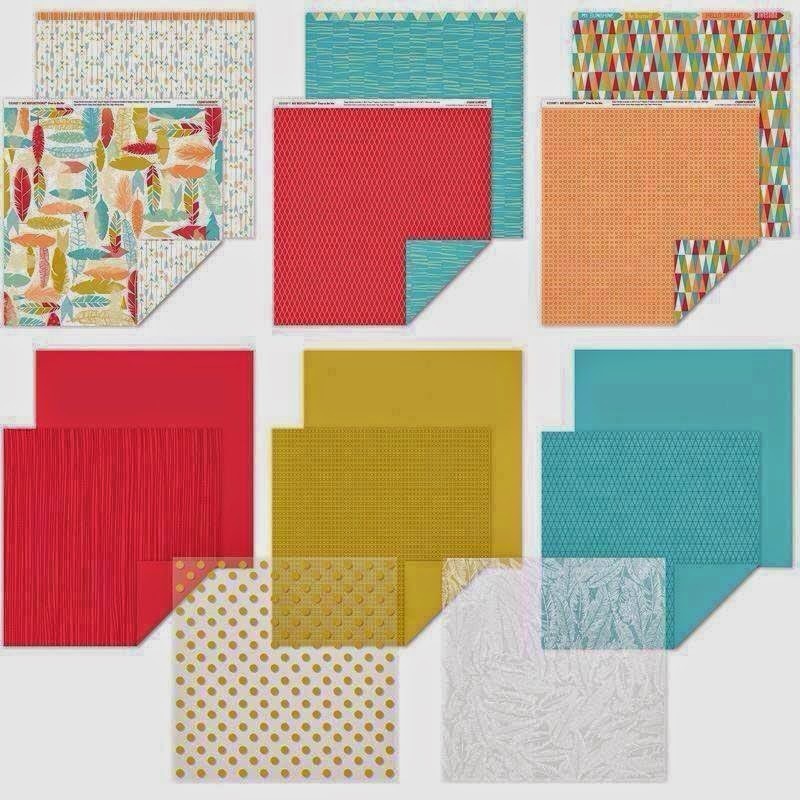 Order $75 or more (before shipping and tax) on my website on Friday, Saturday, Sunday or Monday (November 28 - Dec 1) and I will send you your choice of a $9.95 paper pack AND the acrylic block AND the stamp pad for FREE! 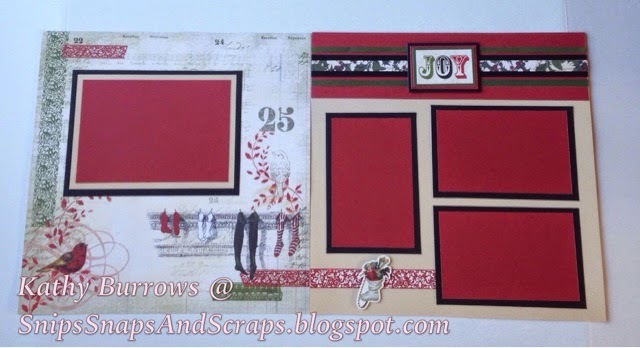 Order $100 or more (before shipping and tax) on my website on Friday, Saturday, Sunday or Monday (November 28 - Dec 1) and I will send you your choice of stamp set AND the paper pack AND the acrylic block AND the stamp pad for FREE! What a great way to do your Christmas shopping and get some FREE stuff too! Layout cutting directions are supplied. Not in the area, but would like to do the workshop? Contact me to get the kit and cutting directions sent to you. For an additional charge, I will precut the workshop for you. you can order from my website or contact me. Stars are from the Scaredy Cat Assortment which would be an optional addition. Please reserve your spot for this workshop no later than November 17th. Remember to pre-order your kit for this workshop. 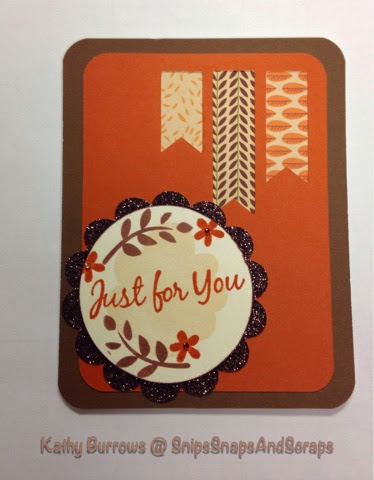 For this hop we have over 40 Close To My Heart consultants sharing their creations using the recently released CTMH Cricut Cartridge Artfully Sent and many other great CTMH products in their projects. If you have come here from Catherine Nowak's blog, you are on the right path. The blog hop is a great big circle, so you can start here and hop all the way around. This is simple to do -- just click on the link at the end of the post on each blog to move on to the next one. 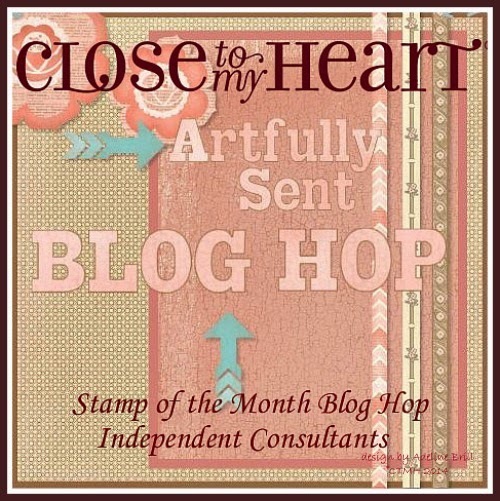 If you get lost along the way, just check the blog hop list here and hop back in. So grab your beverage of choice and get your pinning finger ready to save lots of great ideas for using this wonderfully versatile cartridge. 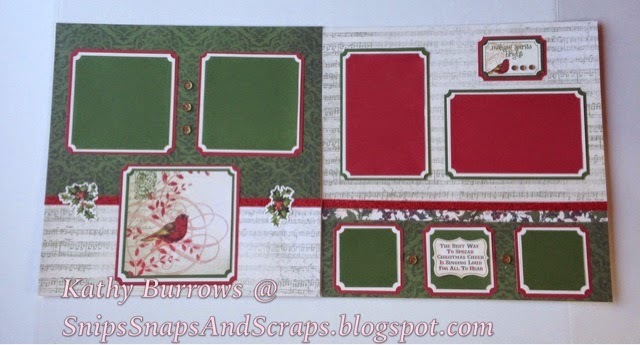 It is full of fantastic cards that can be made so easily, but it's great for scrapbooking too! 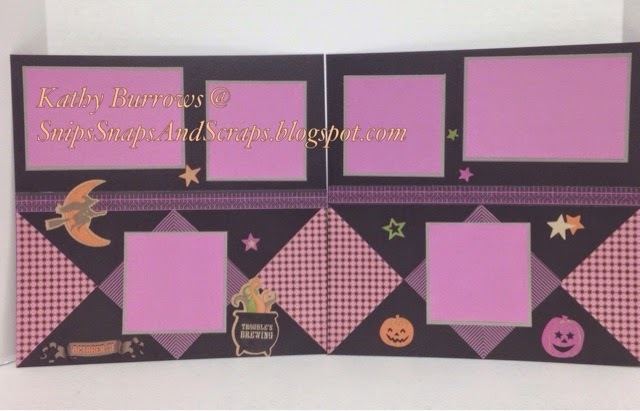 I had so much fun using the images on pages 43 and 44 of the Artfully Sent manual to create one of the Halloween layouts using the Scaredy Cat paper pack for my November Scrapbook Club. 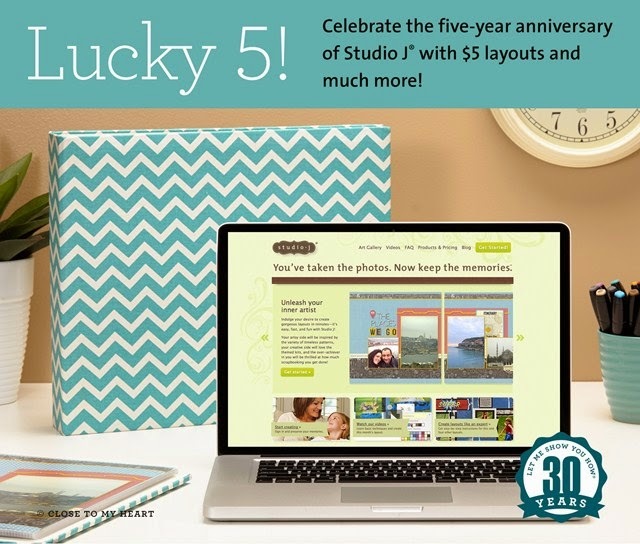 click on the red underlined link to go to my website to see this awesome collection for $99. Wait a minute! Did you know that you can get this awesome cartridge as a 1/2 price item if you host a $250 gathering (your home or mine, or even a book gathering)? Contact me here if you'd like to find out more. Please leave a comment below to let me know you were here! I love visitors! 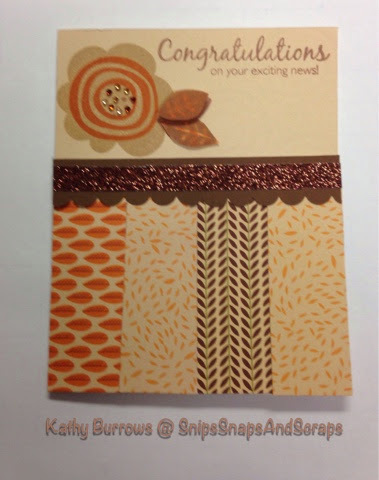 Now "hop" on over to Adeline Brill's blog to see her wonderful work! Be sure to visit all the consultants at their blogs to get some great crafting ideas and other fun ideas! to the "While Supplies Last" section of my website. Check it out, but hurry, when they're gone, they're gone! Lots of your favorites are there for reduced prices. Get 'em while you can by clicking my website. 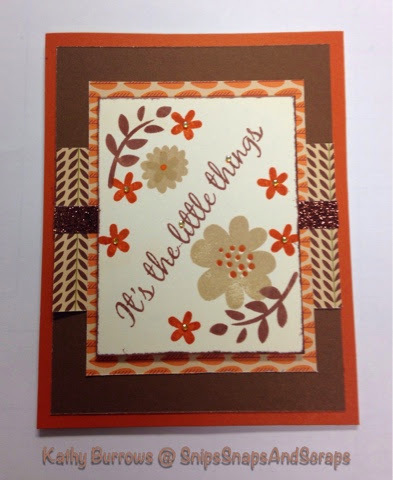 We are featuring November's SOTM, which is It's the Little Things, a set of 15 stamps, just perfect for creating cards or borders or accents on scrap pages. If you have come here from Jean McNulty's blog, you are on the right path. The blog hop is a great big circle, so you can start here and hop all the way around. This is simple to do -- just click on the link at the end of the post on each blog to move on to the next one. If you get lost along the way, you can check the master list on Melinda's blog to hop back in. 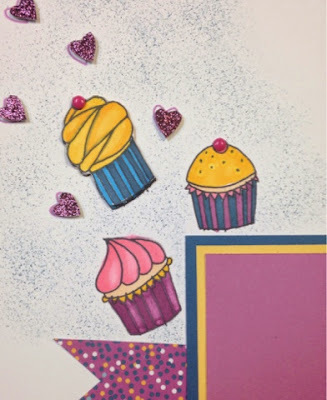 This month I had fun creating some cards with this stamp set. 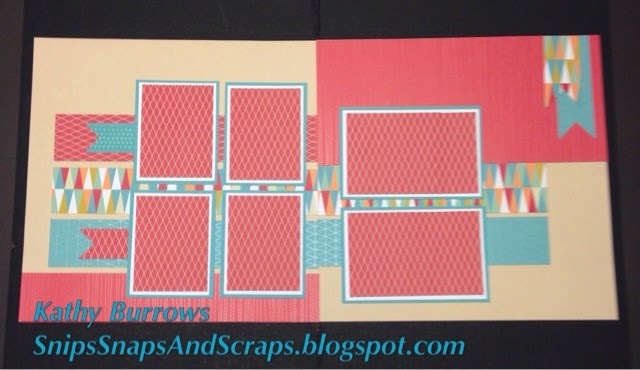 Here's a close up view of each card. I used paper from the Pathfinding Paper kit. 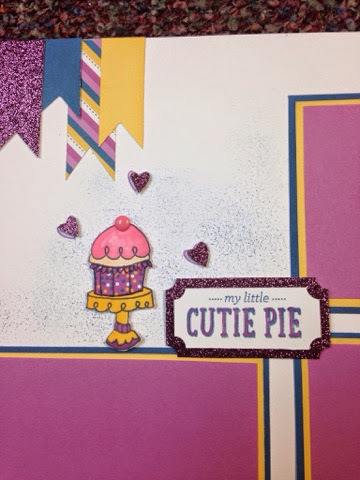 On this card I used a pocket card cut out from the new Artfully Sent Cricut Cartridge, p 14. It was cut it at 5 inches. Please leave a comment to let me know you were here! Now "hop" on over to Carol Taggio's blog to see her work! Remember, the November SOTM is only available until November 30th! 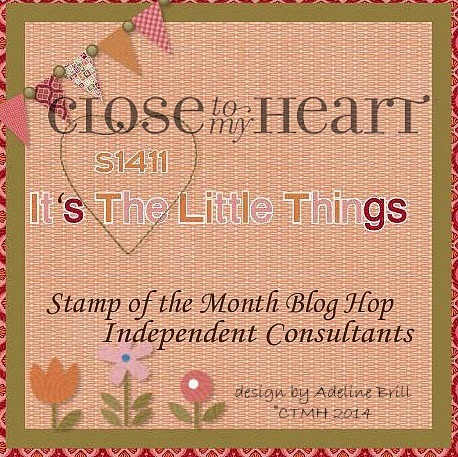 Contact your CTMH Consultant (or contact me here) to see how you can get this stamp set for only $5! 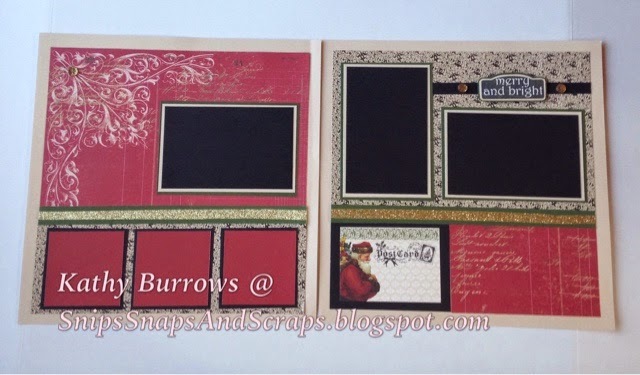 Dig it out and come on over to create your layouts with it. Don't have one? I have a few extras! 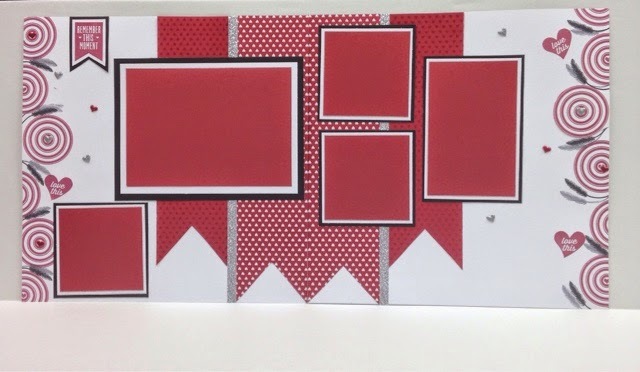 Just purchase some extra card stock to create these layouts. Bases are Flaxen card stock. 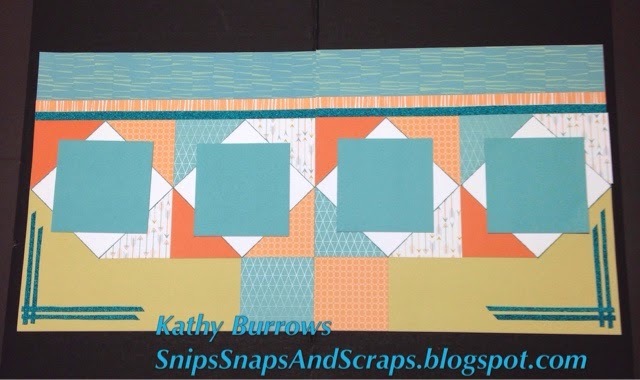 White daisy and Lagoon card stock and some Teal shimmer trim are added to complete this layout. 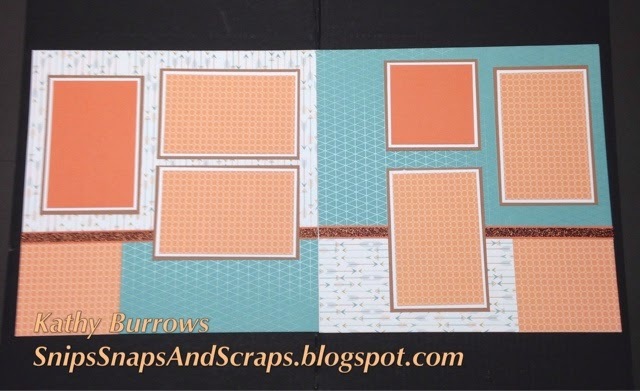 More White daisy, saddle, and sorbet card stock as well as some Bronze Shimmer trim are needed to complete this layout. Base sheets are Champagne card stock. 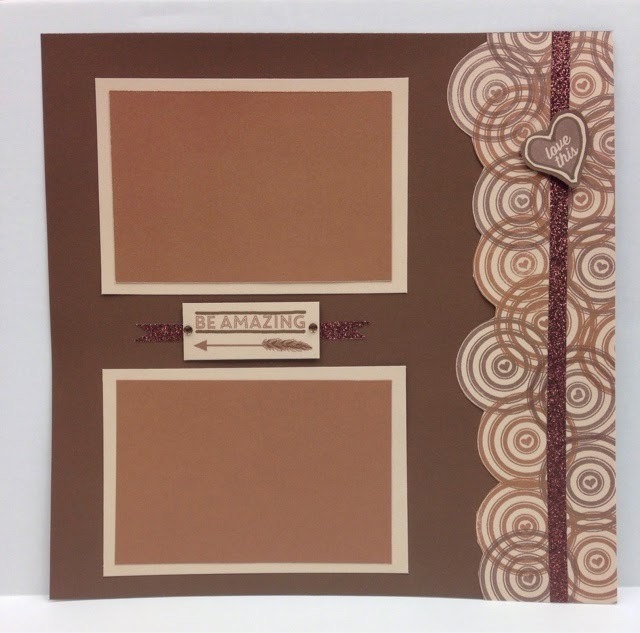 You will need some extra Lagoon and White Daisy card stock to complete this layout. Please reserve your spot for this workshop by Thursday, October 23rd.